Okay, the simplest of things just happened, but it blew me away. Thanks to spotting a reasonably random tweet from ‘sneakybison’, I was reminded that the ISS was visible over the UK tonight! It was 7pm, so I rushed downstairs and looked up, at clouds! However, directly above my house was a clear patch, about 1/3 of the sky.I knew which way was West and therefore roughly the direction of movement, but didn’t know exactly the elevation. But at precisely 7.04 this wondrous bright light appeared directly above my house, travelling West to East… I was amazed… astonished… it was bright!… seriously bright… and obviously the ISS! 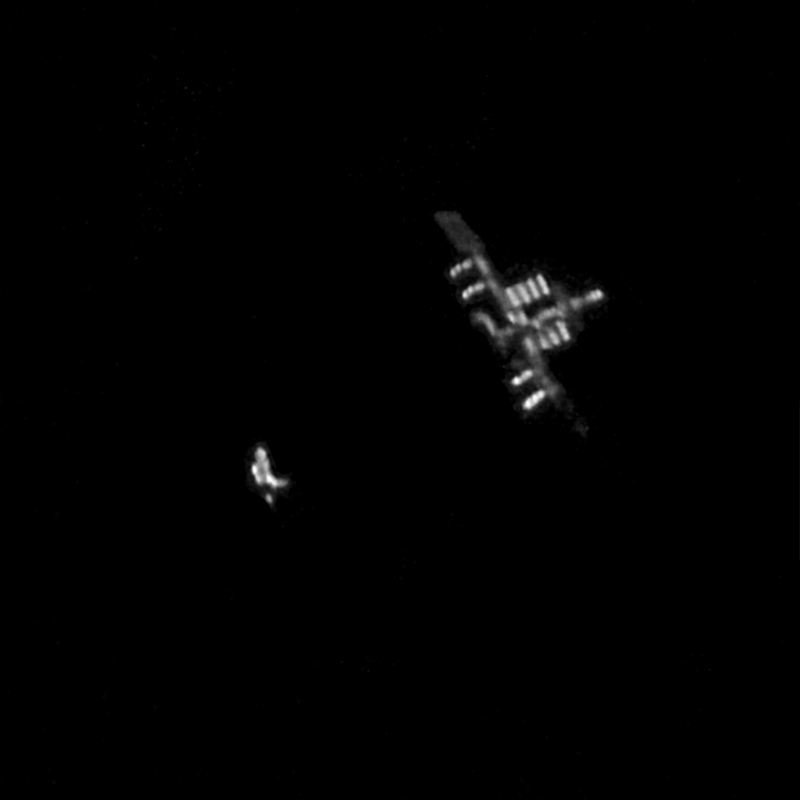 I was so chuffed, moreso when I suddenly thought that Discovery was probably docked to the ISS, and she was! So, tonight, sompletely coincidently and thanks to a simple tweet, I fulflled a dream – I saw the Space Shuttle, and I saw the ISS. Okay, they were 200 miles away and just a bright speck in the sky, but it was them!! This entry was posted in Uncategorized and tagged discovery, international space station, iss, nasa, shuttle, space, space station, universe. Bookmark the permalink.